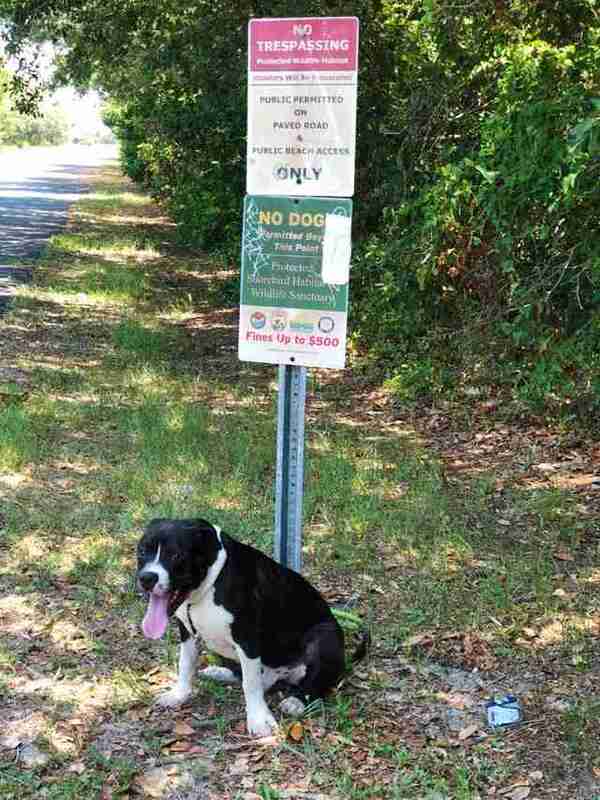 On a popular walking trail in Folly Beach, South Carolina, a young dog panted in the sun. When Tanya Niketas and her son, Phin, spotted the black and white pit bull mix on the way to Lighthouse Inlet on Folly Beach, their relaxing day took a turn. 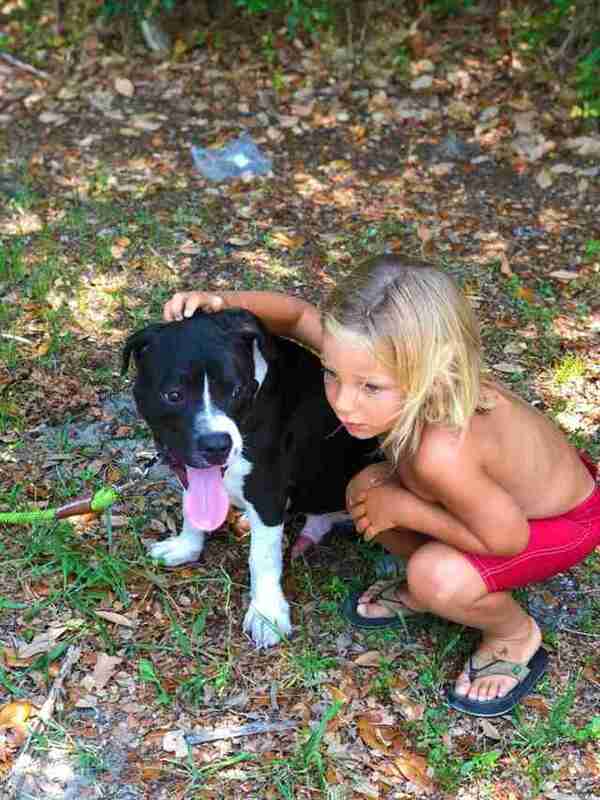 Niketas knew the defenseless dog, seemingly abandoned in a hurry, needed someone to help him get to safety. So she immediately contacted local rescue organization Pet Helpers. 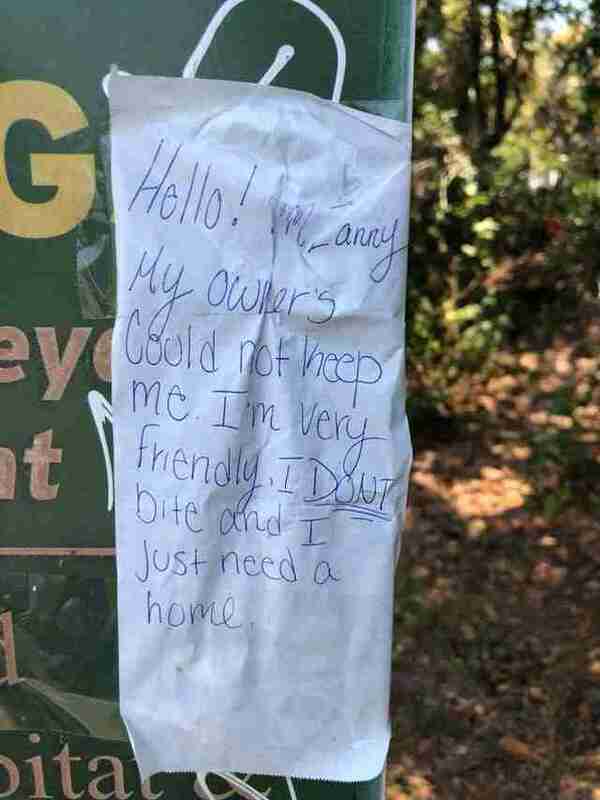 Though the note introduced the dog as Zanny, rescue workers gave him the nickname Folly, after the place where he was found, and the name stuck. 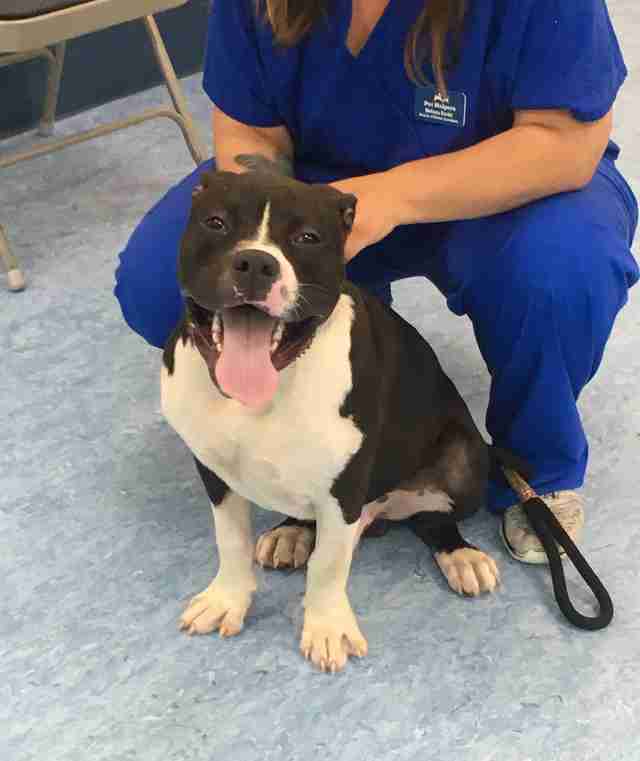 A veterinary exam at the rescue revealed that, other than a rash on his stomach, Folly was in relatively good shape. It was clear that the dog had been well taken care of at one point in his life, but if Niketas hadn’t come along when she did, things might have turned out differently. Rescue workers have been impressed by the young dog’s positive outlook and energetic personality. Even rounds of vaccinations, deworming, microchipping and neutering haven't slowed the playful boy down. Once Folly has healed from his neutering, he will be ready for adoption. 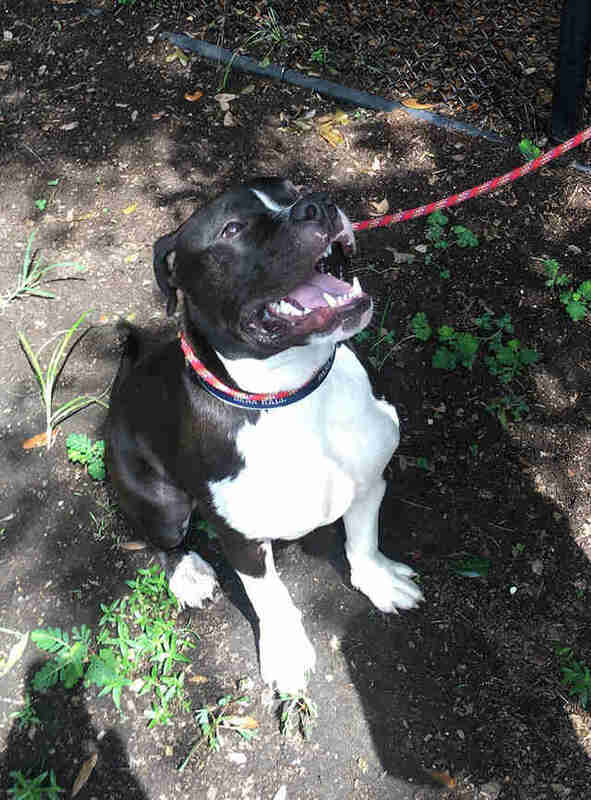 The shelter is already taking names of interested families, and are hoping to place him in his forever home in a week or two. “He would love an active family who will take him on walks, to the park, for rides and, of course, a home where he can snuggle with his new family at night while watching TV or reading a good book,” Browning-Perez added. After all Folly has been through, he deserves a place where he will be loved and cared for — and where dogs are always allowed. If you are interested in adopting Folly, you can fill out the dog adoption questionnaire on the Pet Helpers website.